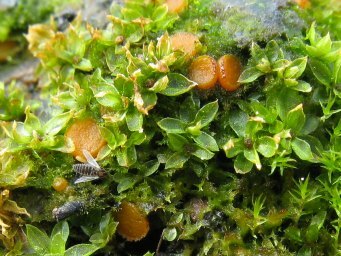 Notes: The spores are very variable in size and the thick wall is only present in fully mature spores. Döbbeler, P. 1993. 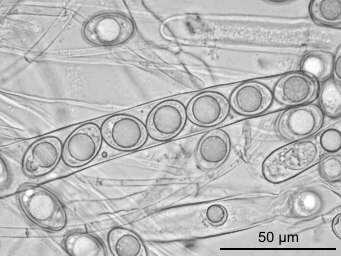 The infecting structures of Octospora rhoxheimii (Pezizales). - Arnoldia 6: 12-14. Peric, B. 2002. 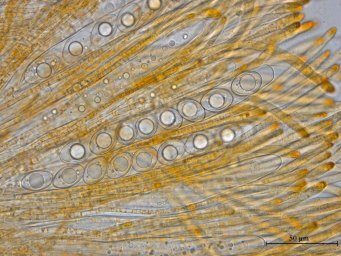 Trois Discomycetes, nouvelles de la flore mycologique du Montenegro. 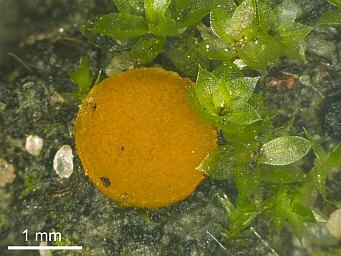 - Mycologia Montenegrina 5: 93-118.